I want to share a pretty inspiring video with all of you today… this video depicts where my interest with working with children and families originally began… well, actually, my interest was first sparked by a school in California named Tara Redwood School… but this video shows how even Tara Redwood School came to be. Lama Thubten Yeshe had the incredible vision to create a type of education that focuses on the individual as a whole, in order to educate the heart AND the mind. This education is called Universal Education. 2016 has kicked off with a burst of energy! I see changes happening all around me- friends rethinking their work goals, family going through big changes, and others working to reset old habits to make room for new ones. I am excited for this year. I have some goals (probably too many, but that’s a whole different story), and I feel very motivated to get sh*t done! What I usually struggle with is maintaining that energy over a long period of time. But this year feels different. I will say that much. I am excited to be offering a bunch of new yoga classes for children AND adults… and I’ve been working with a good friend to put together new ideas for workshops for both children and adults, too. It’s a really creative time right now. One of my BIGGEST challenges is managing my business in a “business” way. I really want to learn more about running a small business, steps to take to gain a larger audience and proper ways to network successfully… on top of that I’d like to redesign this webpage. Good thing it’s only January, right!? Being a female entrepreneur is awesome… and there is SO MUCH energy in that area right now for women. I’m curious, what are some of your favorite blogs, websites, etc. that educate women on business management… or that are just super motivating for female entrepreneurs? I’d LOVE to know… so please share! Oh, and HAPPY 2016! May it be a year full of happiness, health, and love. Hello to all the families and readers out there! Well, it’s been a minute since I’ve posted last… mainly due to not having much to post about. I’ve been reminding myself lately of the quote by Plato, “A wise man speaks because he has something to say; a fool because he has to say something.” I’ve been gathering ideas of what to post about… and have a few topic ideas to share soon. For now, what I’d like to do is share the Blog of a new friend, Sarah Chase. She is an incredible photographer in New Hampshire, and reached out to the community looking for a children’s yoga teacher to photograph and interview. A handful for friends passes my name along to Sarah… so long story short… here is the blog post on Sarah’s website www.chasephotonh.com. I have to admit, my son did not want to cooperate the day Sarah came to take photos… his cousin was visiting, and they just wanted to play. However, Sarah was very patient, and she encouraged us to just be natural… and she got some great photos out of the session, and everyone ended up having some fun! Thank You Sarah! I hope you enjoy the blog post and photos. If you have any questions about yoga with your children, don’t hesitate to email growingwyoga@gmail.com! Click HERE for the blog and interview with Chase Photo NH. I think it’s safe to say that there has been a lot going on in the world over the last few weeks… a devastating earthquake hit Nepal leaving many people dead, injured, and without basic necessities. There have also been a number of protests popping up around the United States. I am not one who follows the news on a consistent basis, honestly, because it terrifies me. However, these protests, and the stories of people who are protesting, have impacted me a lot lately. I’ve also been left with a lot of questions about the world… Why don’t people really listen to each other more? Why are we more consumed by attention-seeking reporters, than by the real message that people are trying to get out? Why aren’t more things being done to bring justice, fairness and equality to light? Maybe these are simplistic questions… but why aren’t they being done? Not just for us now… but for the future generations to come? It really bothers me to see grown adults fighting, and acting in ways that they would never allow their children to act. Why hold only the young to such standards of being a “good human being” when adults are not doing the same? I’ve had a few conversations with friends lately about how the protests and injustices affect children. As a mother and early childhood educator, there really isn’t a single day that goes by when I don’t talk with children about how important it is to treat others with kindness. I think most adults (myself included) need to seriously PAUSE for a minute and take a good look at themselves and the situation of the world right now. It’s nobody else’s responsibility than OUR OWN to make a change. If we keep sitting around, waiting for someone else to do something, or say something… well, we may never see much change. I do ask one thing though: Get some perspective. Try not to react or speak out from anger. Speak from experience… knowledge… wisdom. Use your words to reach out and do some good. You know why? Because the next generation is watching. They are watching how you speak, act, treat strangers on the street, how you yell at someone crossing the road, how you open the door and smile for your grandmother. Children are always watching. They are sponges, soaking everything up. Do we want the next generation, and the one after that to talk the talk, or walk the walk? It can be scary to think of what the world will be like for our children as they grow to become adults… but we need to prepare them. Let’s prepare them with KINDNESS. Let’s prepare them with PATIENCE. Let’s prepare them with RESPECT. Let’s prepare them with TOLERANCE. We need to pave the way for a better world. A more understanding world. 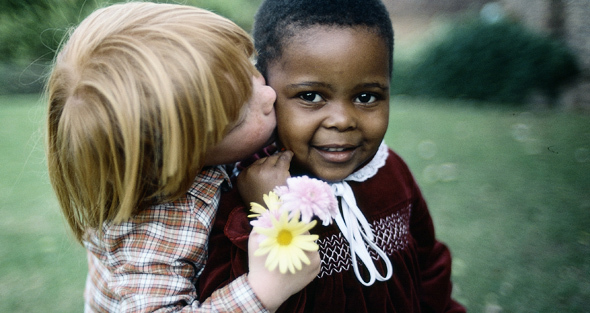 Not one where we just sit around and say “oh, I wish the world was different.” We need to strive every day to be kind, and show acts of kindness to others (and ourselves). Let’s show children a world where we actually listen to someone, even if they have a different view than us. A world where we offer to help someone in the street because, despite the reason they are on the street, they still deserve respect. Let’s invite the opportunity for children to experience what it feels like when you do something kind for someone else, without any recognition. That feeling is irreplaceable. It fills your heart. We don’t have to be political leaders or have some super power to change the world… all it takes is 1 simple act of kindness. A smile. Saying Thank You. Leaving a great tip while out to eat. A friendly Hello walking down the street. Helping a hurt animal. If your heart-felt intention is to help, or do something kind for others, then you are already a super hero. 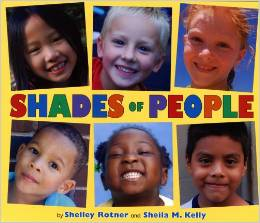 A great children’s book to introduce diversity is called Shades of People, written by Shelley Rotner and Sheila M. Kelly. Wow! 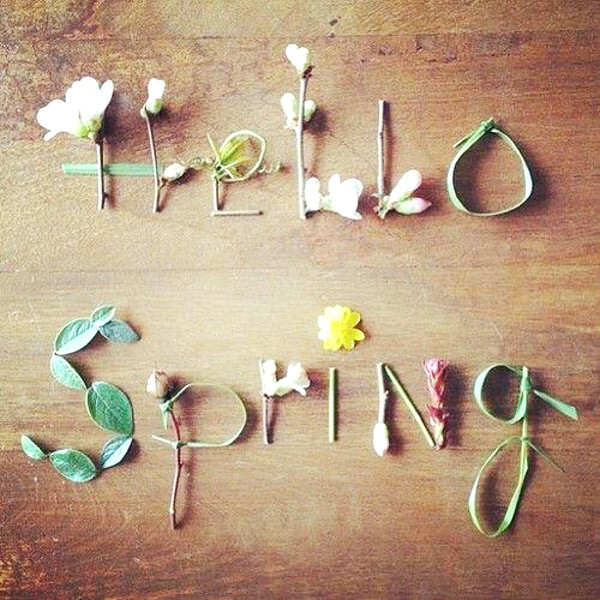 Spring is finally here! For those of you who also live in the Northeast of the United States, you probably understand how EXCITING this is! It has been a fun, but very cold winter here for us… and as much fun as it was to build countless snowmen and learn to ski again with my son… it feels great to have the air be warm and the sun shining on our faces as we venture off on bike rides together again! As the days warm up, I still find myself wanting to live at a slower pace. That is one of my favorite things about winter… going slower. We are almost forced to because the snow makes us drive slower, and the days get darker much earlier, so we hibernate. 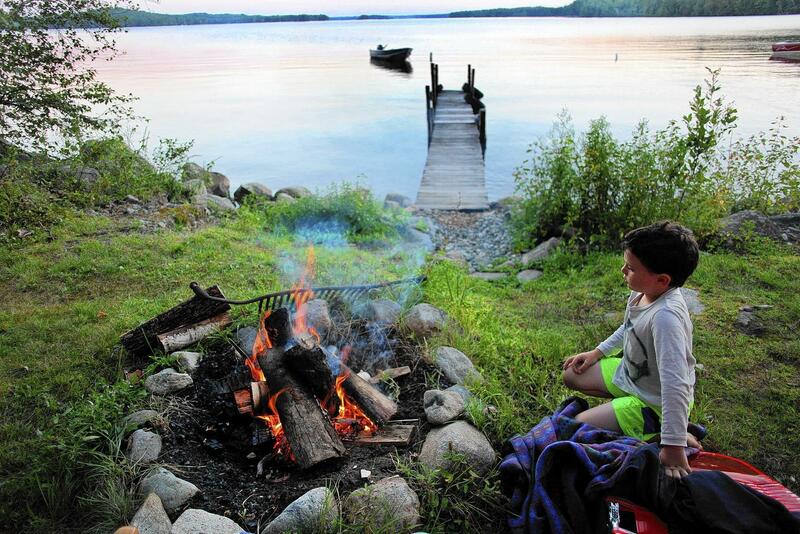 But now the days are getting lighter again, and it’s hard not to think of EVERYTHING we can do again: swim, grill outside, go camping, ride bikes, play outside, go on adventures, go to the ocean, listen to live music, etc. And it will be great to do many of these things again… but at a slower pace, or maybe with a slower mindset. At the preschool where I work, the children’s energy levels have definitely increased over the past few weeks. It’s as if they have been craving springtime! They are ready to be outside, run and play… and I don’t blame them! One thing I also see is that the children are exhausted. All the fresh air they are enjoying once again really does tire them out. I know as parents, we want to spend the weekend doing fun things with our kids because we work all week and don’t get to do adventurous things with our children… but we must also keep in mind that slowing down, spending time at home, or time doing 1 or 2 activities during the day may be PLENTY, rather than racing around all weekend long. There are always the birthday parties to attend, and family to visit… we all have those things to do. But for what it’s worth, I challenge you to go slower. Do less. Because at the end of the day, it ends up feeling like more. My son is with his father every-other weekend, so I definitely have the urge to see as many friends as we can during the weekends when he’s home with me… but that doesn’t always fit with his personality or needs. He really enjoys being home, playing with his toys, and just doing things at a more relaxed pace. He will tell me, “I want to be home today”… rather than visiting friends or going for an adventure. We all want to do so many things, because, well… life is to be enjoyed! Just remember, those little people by your side may not always want to do those things, and it’s OK (in my opinion) for them to voice that. Compromise, listen to each other, and find ways to really enjoy being together. This spring and summer, I want to be present and enjoy the warmer weather. I want to also show my son how to enjoy where he lives… and that it’s totally OK to stop and watch some bugs, because that’s what living and learning is all about. The school year is so packed with schedules and routines… I for one am looking forward to loosening the reins a bit. How are you planning to spend your summer? What do you like to do with your children for simple adventures? I’d love to hear from you! Also, check out the latest classes & workshops on my “Upcoming Classes” page! Thanks for reading! What’s with the Children’s Yoga hype? Now that I am currently teaching some new yoga classes (which have been so much fun!) I thought it would be helpful to write about WHY people are choosing to sign their children up for yoga classes, and WHAT they are getting out of it. There’s definitely been a surge in popularity with yoga; there’s probably more types of yoga than there are flavors of ice cream now! And on top of it, now there’s infant, toddler, children’s, and teen yoga. Whew! Seriously though, people ask me all the time if kids yoga classes are similar to adult classes. “How do you get kids to sit still for so long?” I explain that depending on the ages of the kids, there is A LOT of movement, music, and games within each class to get kids interested in focusing on their bodies and their BREATH. As kids get older (even Pre-K ages) shorter stints of quiet focus can be added for them to establish peace and awareness within their bodies and minds. However, many children struggle with “being quiet”, and that is OKAY. We are so lucky to live during a time when there is so much research and education about working with children. If you came to a children’s yoga class you’d see that the point of teaching yoga to children isn’t about “being quiet” or instructing them about every benefit they are gaining within their bodies while doing a certain pose. In my opinion, when a child expresses pleasure or happiness about something they have done that day, that’s where the magic is. It’s more valuable when you experience something, than just being told about it. When you feel like you are surrounded by kind people, and experience joy in the moment… there are no words anyone can use to explain how that might feel… you just have to feel it… and let yourself be. Teaches principles of respect, kindness, trust, giving, helping others, etc. Provides a safe outlet to role play about peer pressure, bullying, body image, etc. Provides children and families tools to help slow down, relax, and also HAVE FUN together! 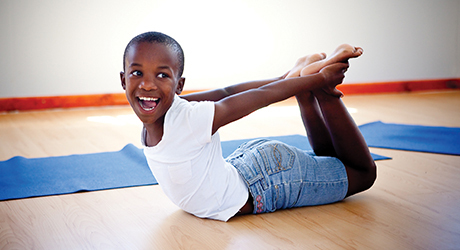 Click HERE for a great article from PBS about Kids Yoga! Here is a short quote from “The Whole-Brain Child” written by Daniel Siegel, M.D. explaining the correlation between physical movement, breathing and overall well-being. “Research shows that when we change our physical state- through movement or relaxation, for example- we can change our emotional state. Try smiling for a minute- it can make you feel happier; quick, shallow breaths accompany anxiety, and if you take a slow, deep breath, you’ll likely feel calmer. (You can try these little exercises with your child to teach her how her body affects how she feels)”. The Founder of ChildLight Yoga, Lisa Flynn (who I took my children’s yoga training with) wrote a great article about how yoga helps families connect with each other. “Sharing yoga as a family is not only fun, but has the power to strengthen the family unit. A strong family breeds well-adjusted children who are positively connected to those who love them and are empowered to reflect that love out into the world. Understandably, it can be difficult to find down time in a hectic family schedule. Fortunately, the practice of yoga is adaptable. You don’t have a full half hour to dedicate to “yoga time”? Try taking a few deep breaths together in the car on the way to the play audition, practicing a couple of simple stretching poses paired with a calming breath before heading out onto the soccer field, letting off steam together with a Lion’s Breath, or sharing a visual imagery exercise before bed. Adapting yoga sessions for your family—even 1 to 5 minutes here and there throughout the day—can be beneficial. These yoga breaks provide wonderful opportunities to connect as a family while providing your children an opportunity to experience how yoga can be used as a helpful tool anytime! Your family can benefit from “connecting moments” in yoga, moments found in partner poses, games, family activities and projects, family performances, or in a quiet discussion of a yoga principle or following a visualization exercise. In these moments, you’ll learn more about one another, build trust, engage in teamwork, and deepen bonds. Family communication and interaction becomes fun yet meaningful, enhancing connectedness between yourself and your children, and the family as a whole. It’s taken me many years to come to realize the power of meditation. I remember growing up, my mother would tell me to take deep breaths to help me calm down, but it wasn’t until high school when I actually put her advice into practice. It was before an exam, and I was nervous- I remember walking into the girls bathroom, looking in the mirror and telling myself to take 10 deep breaths. Focusing on my breath has been one of the surest ways for me to realize how I am actually feeling… anytime, day or night. Anytime I feel frustrated, taking deep breaths has been one of the best go-to tools for helping calm myself down (and I’m sure has prevented me from saying things I would later regret). As a mother, there are many moments when part of me would like to just blurt out “HURRY UP!”… but we all know that that never really helps any situation with a child (other than an emergency perhaps). I remember a few months ago my son and I were having a trying morning. He needed a lot of encouragement to get himself dressed and ready for school, and I was short on patience. I could feel my skin starting to boil…. but instead of erupting like a volcano, I sat down next to him and said: “I need to take 5 deep breaths.” I sat there and counted my 5 breaths. He looked at me with confusion, yet seemed interested in what I was doing. We were able to get ourselves ready for the day, and out the door. Suddenly, while walking to the car I was feeling frustrated again. I didn’t say anything this time. I helped him get in the car and walked around to shut the trunk, when all of a sudden I heard his little voice say, “Next time I think you need to take 6 breaths.” I instantly started laughing, because it was SO true! How thankful I was (and continue to be) for this little person to help remind me of the important things in life! Today I was able to find some time to sit on my meditation cushion. Oh, how I have missed that cushion! It’s small, red, and from Vermont. Wonderful! I didn’t sit for a long time, but just allowed myself to be there, with a faint scent of incense burning next to me. While sitting there, I realized that this particular spot is basically like my very own “recharging station”. You see, we all put an incredible amount of energy OUT… to our families, friends, jobs, strangers, to learning and reading, cooking, exercising… but when and how do we FILL BACK UP? Adults and children are not very different… it seems like people think that children are different, or don’t need the same things that adults do. But in many ways, we are very much alike. To keep what I am saying simple, I am just speaking in terms of self-care and meditation. Children lead VERY busy lives… between school, friends, extra-curricular activities, team sports, jobs, homework, and family time… there’s not a whole lot of time for kids to dive back into their own hearts and find out what IS going on with THEM. Creating time and space to slow down, even for 10 minutes a day, doesn’t have to be a “hippie” or “weirdo” thing that people do either. It doesn’t mean you’re a crunchy-granola person or that your kids are going to become that way. There are many professional athletes, as well as successful business men & women who have used mindfulness practices to get to where they are today. I had a coach in high school who used to talk to all the basketball players about Anthony Robbins– he would put us all in scenarios where we’d be under pressure during game time, and help us deal with that feeling. I feel that it is not only beneficial, but also extremely important that children learn methods and skills for calming down, coping with change or difficult emotions/feelings, and learning how to digest information before exploding in harmful ways onto others. So, how do you begin introducing concepts of mindfulness and meditation to children? Well, there are lots of amazing resources out there… I particularly love the fun game called Breathing Buddies (which I did not develop, just happily use and share with others). All your child needs for Breathing Buddies is a small or medium-sized stuffed animal. Invite them to lay down on their back, and gently place the Breathing Buddy on their belly. Ask them to take some breaths in and out… and have them watch how their Breathing Buddy rises and falls with each breath. Then invite them to take some deep breaths, slow breaths, fast breaths… just do this a few times so they can begin to see the power of their breath. Breath = Power. It fuels our bodies and minds… so we want our breath to be calm and strong. Have fun with this… it can also be a nice before bedtime activity for you and your child. Click HERE to watch a short video clip where Daniel Goleman explains how the simple act of using a breathing buddy helps children develop attention training and inner self management training. 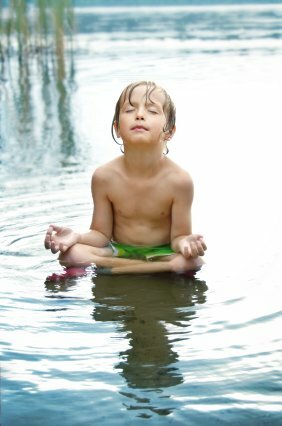 What are some ways you have used or introduced meditation to children? I’d love to hear from you!